Following Netflix’s unexpected cancellation of One Day At a Time, many fans, including celebrities like Lin-Manuel Miranda, took to social media to express their love and support for the popular sitcom in hopes of catching other streaming services or networks’ attention to save the series for another season. Vulture reports that rival streaming service CBS All Access is currently interested in picking up the series from producer Sony Pictures Television with an official bid of at least one more season. 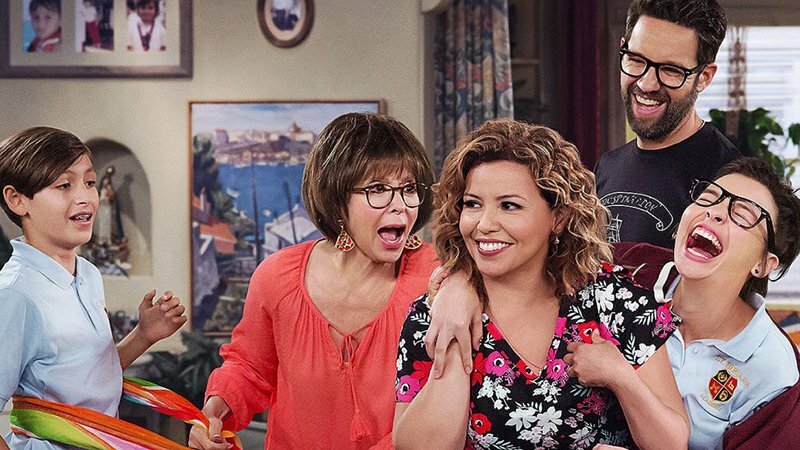 However, despite the offer, One Day At a Time‘s highly-anticipated renewal is still difficult to achieve due to Netflix’s veto rights that prevent their cancelled shows from moving into any streaming networks. According to the outlet’s sources Sony and CBS All Access are working together to find a way to make the deal happen with the show’s executive producer Norman Lear reportedly reaching out to Netflix’ Ted Sarandos personally, asking him to waive the company’s veto rights over the sitcom. A reimagining of the iconic Norman Lear sitcom, One Day at a Time is a hilarious and heartfelt comedy that follows three generations of a Cuban-American family sometimes-reluctantly cohabitating and navigating the ups and downs of life. A newly-single mom and military veteran journeys through the triumphs and tribulations that come with raising two strong-willed, mega-millennial children, all the while enlisting the “help” of her old-school mother and her building manager-turned-invaluable confidante. Through a contemporary lens, One Day at a Time offers a glimpse at what life looks like, in good times and bad — and how those around you somehow make it all worthwhile. All three seasons are currently available for streaming, with Season 3 featuring new characters including Gloria Estefan as Mirtha, Danny Pino as Tito along with Brooklyn Nine-Nine’s Stephanie Beatriz and Melissa Fumero as Pilar and Estrellita. Joe Manganiello, Alan Ruck, India de Beaufort, and Alex Quijano also appear in the season.